Am I the only one who can’t stand when kids bring toys to class (or who make toys in class)?! Well, I have finally found the solution! A toy graveyard! I made a box with a foam skeleton on it and labeled it “Toy Graveyard.” I put it on a top shelf where no kids could get into it. 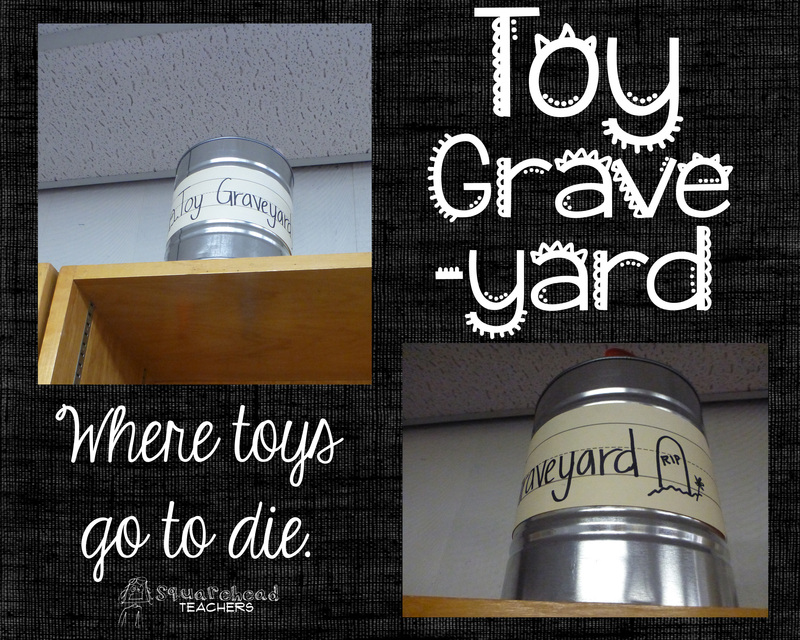 This picture is of the toy graveyard my friend uses in her classroom. She randomly had this big can and re-purposed it instead of tracking down a small box. It’s probably one of the best I’ve come up with (not to brag or anything). 🙂 What’s one of the best teaching ideas you’ve ever had (or heard of)? This entry was posted in Management and tagged Children, Education, Elementary School, Kids, Teacher Resources, Teachers, Teaching by Squarehead Teachers. Bookmark the permalink.